NES fifth graders have innovative seating in Mr. George Banner's math classes. 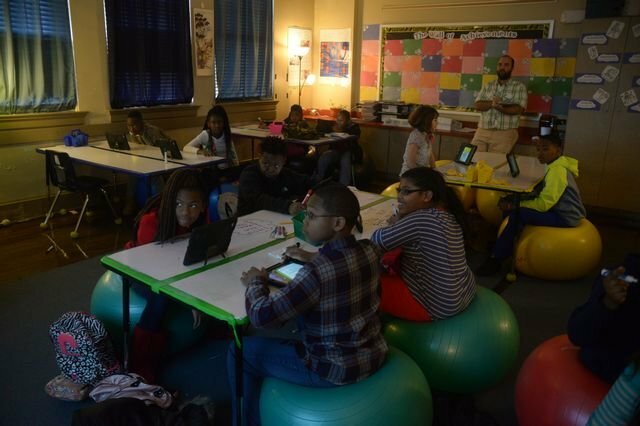 He led a donorschoose project to fund a change from traditional seating to seating on medicine balls. The medicine ball seating allows for more movement during instruction and promotes whole body learning of mathematics. Mr. Banner's efforts recently were covered in the Newberry Observer and made it onto the State Department of Education website. Congratulations, Mr. Banner, for showing what happens when we accept nothing less than the best at NES!